John Williams’ score is one of the definitive elements of Star Wars’ legacy. His melodies have become inseparable from all parts of the Star Wars saga, including Rian Johnson’s The Last Jedi, which features some of the composer’s most tactful and elegant work. Recently, Alex Ross from The New Yorker authored “A Field Guid To The Musical Leitmotifs Of Star Wars,” which gives some historical context to the space opera’s score and highlights particularly subversive elements that appear in the latest film. For those that don’t have a degree in music theory, a leitmotif is an identifying “musical tag” or “melodic moment” that’s reprised every time the composer wants the audience to realize or remember something. This technique of repeated and fragmented narrative motifs was popularized by Richard Wagner and used frequently in his famous “Ring” cycle. When John Williams sat down to compose the original Star Wars score, he was making a purposeful homage to this style of music. That’s why you’ll hear fragments or variants of “The Imperial March” anytime Darth Vader is on screen and why the soaring “Force Theme” appears so frequently throughout the series. 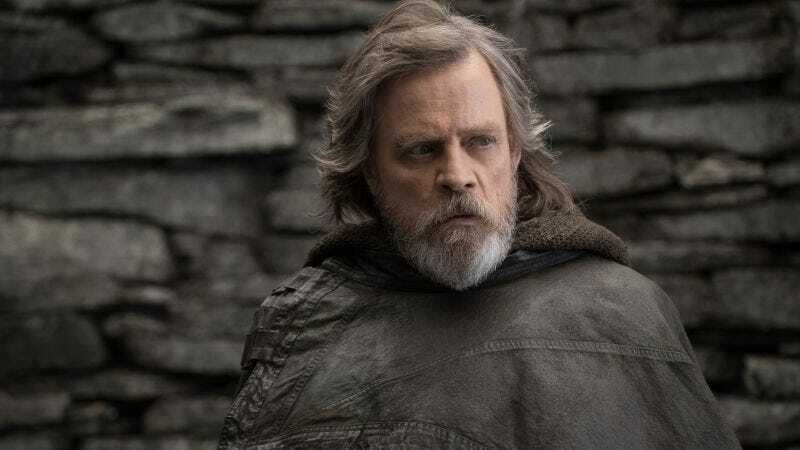 When it came to The Last Jedi, Williams had a whole catalogue of leitmotifs to work with and was able to seamlessly blend those older elements with the new. The New Yorker cites the specific example of when Rey first attempts to convince Luke to train her, a muddled version of the “Force Theme” can be heard which is slowly drawn out and expanded as Luke becomes more convinced and reforges his own connection with the Force. Throughout the film, Williams uses snippets of phrases, sometimes just a few notes, to draw nostalgic emotion from the audience or occasionally tip them off that “this is not going to go the way you think.” It’s almost as if the music is playing off Rian Johnson’s narrative themes of killing the past and subverting the audience’s expectations, while still paying homage to what got us here in the first place. How exactly these musical themes will resolve in forthcoming Episode IX is anyone’s guess, but, with John Williams at the helm, we know we’re in good hands. Check out the whole article for much more analysis.